All that matters for the US media is the stock market. Just take a look at the TOP category in Bloomberg or tune into CNBC for… well… as long as you can bear it. And of course many put the “=” sign between the US equities and Apple. Therefore, last week’s premier issue of Apple bonds grabbed all the headlines. Granted, it was a bond, not a stock but it’s Apple so it can still rule the global economic reports. But honestly, in the greater scheme of things this issue had really zero relevance for anything. Yeah, probably the PIMCOs of the world decided to park some cash there expecting that high outstanding value would boost liquidity in the secondary market. Plus, there were some comments about Apple’s tax bill but that’s about it. I think something considerably more important happened in the small European country of Slovenia. After several days of roadshowing, the troubled Slovenia decided to open books for 5 and 10y bonds on Tuesday (30 April). Given that in the previous weeks peripheral bond markets rallied like mad, it wasn’t too heroic to assume that the book-building would be quite quick. Indeed, in the early afternoon books exceeded USD10bn (I guess Slovenia wanted to sell something around 2-3bn) and then reached a quarter of what Apple managed to get in its book building. 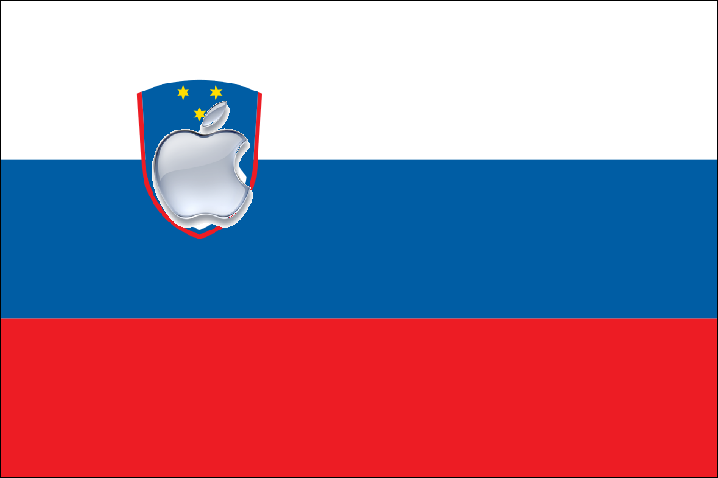 If I were to take a cheap shot I would say that Slovenia’s GDP is almost 10 times smaller than Apple’s market capitalisation* but I won’t. And then the lightning struck. Moody’s informed the government of an impending downgrade, which has led to a subsequent suspension of the whole issuance process. I honesty can’t recall the last time a rating agency would do such a thing after the roadshow and during book-building but that’s beside the point. That evening, Moody’s (which already was the most bearish agency on Slovenia) downgraded the country by two notches to junk AND maintained the negative outlook. This created a whopping four-notch difference between them and both Fitch and S&P (A-). The justification of the decision was appalling. Particularly the point about “uncertain funding prospects”. I actually do understand why Moody’s did what it did – they must have assumed that the Dijsselbloem Rule (a.k.a. The Template) means that Slovenia will fall down at the first stumbling point. But they weren’t brave enough to put that in writing and instead chose a set of phony arguments. Anyway, May 1st followed and the book reopened for bids only on Thursday. In the meantime, it was interesting to see what happened in the secondary market: the existing Sloven22 USD bonds got given on Tuesday at 99.00, they were sold just below 98.00 on Wednesday and by the time the books restarted they were firmly on their way towards par. I know markets don’t care about ratings these days but this was a pretty extreme vote of no-confidence for Moody’s. I took advantage of the fact that May 1st is a holiday across Europe and had a few meetings with fund managers here in London. All of them were telling me the same thing, i.e. that they hope that the downgrade would cheapen the deal by at least 10bp. They “hoped” but didn’t really think that would happen. This sharply contrasts with some analysts’ comments who said that the downgrade could cost Slovenia around 100bp (i.e. from 6 to 7% in yield). Imagine that – some people seriously thought Slovenia would have to pay more than Rwanda (no disrespect, of course). Then the big day came – books reopened, bids were even stronger than during the first attempt and Slovenia sold 3.5bn worth of 5 and 10y bonds. On Friday, the new Sloven23s traded up by more than 4 points, which means yield fell by more than 50bp from the 6% the government paid. A fairy tale ending. So why do I think this event was so important? Because it shows how different the perception of European sovereign risk is. I wrote a few times about it (see here and here) partly making fun of people who thought that Slovenia would be the next Cyprus. Now, don’t get me wrong, I don’t think that Slovenia is out of the woods yet. In fact, the 3.5bn cash injection could make the government less eager to push for necessary reforms (for details, do check an excellent summary of a great paper by @GoodRichWatts which can be found here). But the emotional reaction to the Cyprus debacle was ridiculed by the market. In other words, just because something happened in one part of the Eurozone, it doesn’t mean that there will be an impending domino effect, or an outright tsunami. Perhaps issues from both Apple and Slovenia have only proved that investors will buy anything that yields. But I strongly believe that in the case of Slovenia we got something much more important in terms of where the crisis in the Eurozone is headed. If you want to be short Europe, feel free to do that but better check whether your story holds first and don’t count on panic spreading quickly. * Comparing a country’s GDP with a company’s market capitalisation is ridiculous, though because one is flow and the other one is stock. But this sort of comparison is what would get me quoted on Bloomberg so I couldn’t resist. For the record, if you wanted to compare a country’s GDP to anything from the corporate finance world it should rather be sales, in which case Slovenia is a third of Apple.